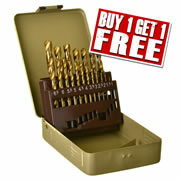 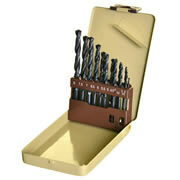 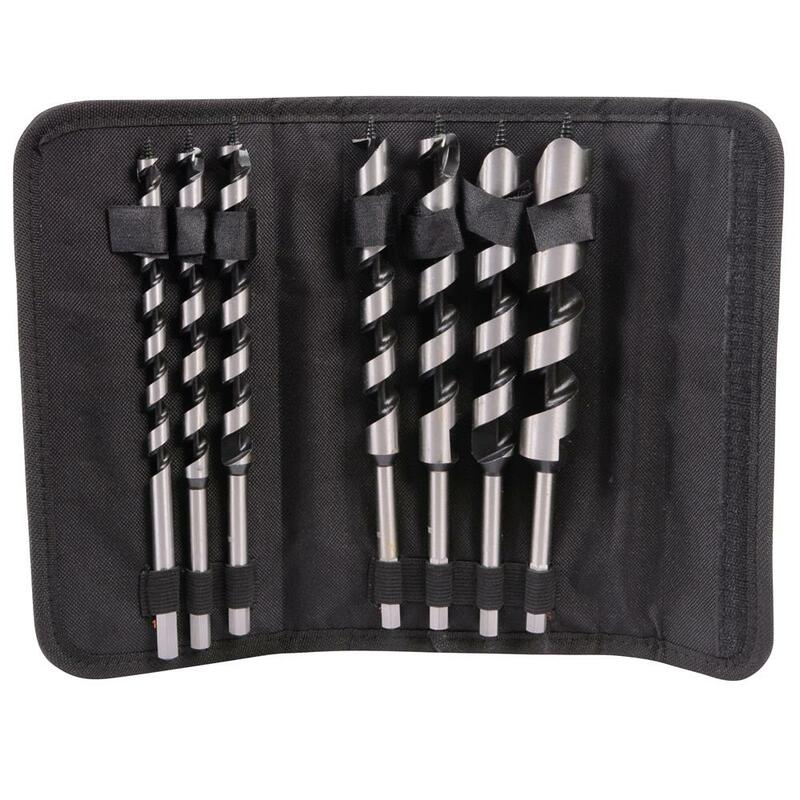 7 Piece Auger Bit set for fast clean drilling of soft and hard wood. 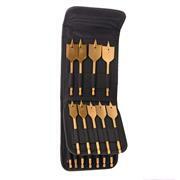 Complete in compact fold up canvas wallet which takes up minimal space so will fit easily into your tool box or bag. 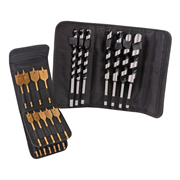 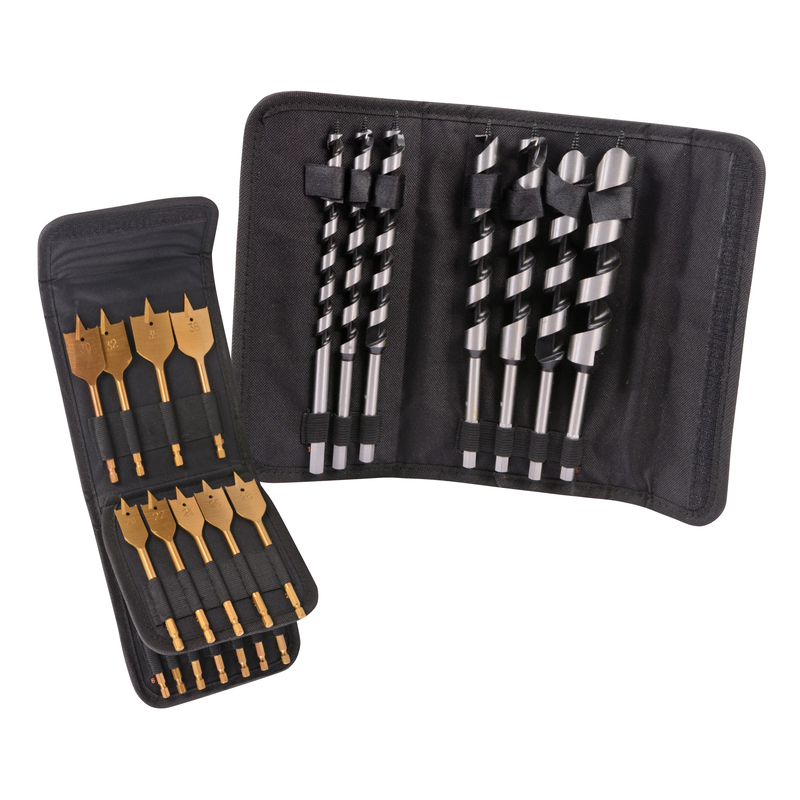 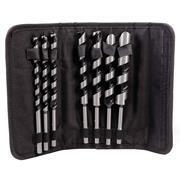 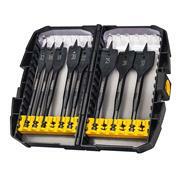 16 Piece Flat Bit set with a titanium coating for longer life. 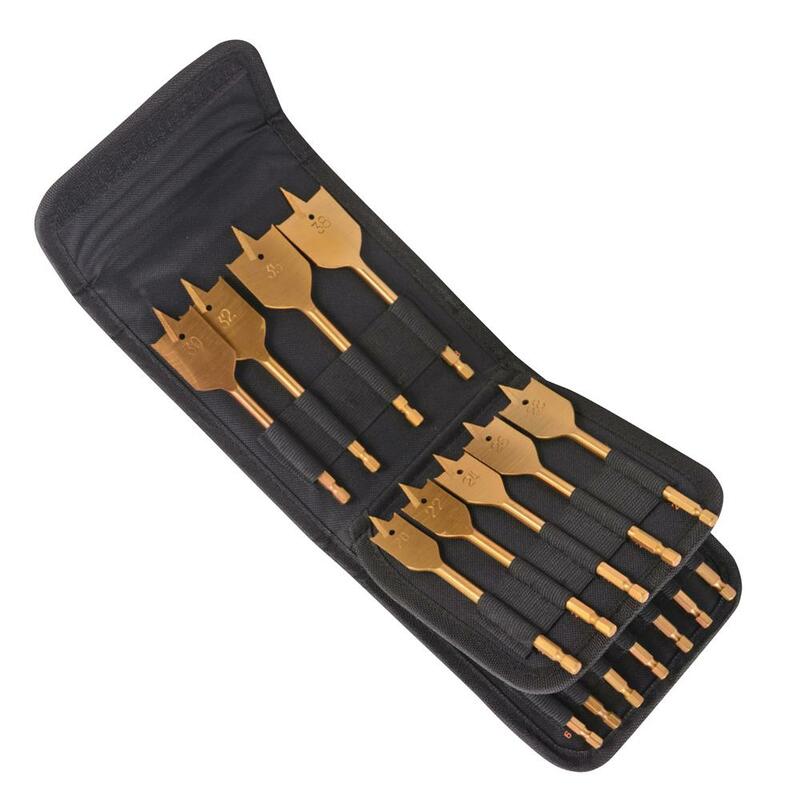 Complete in compact fold up canvas wallet which takes up miniumal space so will easily fit into your tool box or bag.Flat Bits.